I had a bajillion other things I should’ve been doing like laundry, my taxes, cleaning my messy house or some work that I didn’t get done during the day. I should’ve taken advantage of the fact that Benzo was cooking dinner, which meant I had free time to work on some of those things. Nope – I still decided to make ice cream. I started out with the intention of making plain vanilla soy ice cream, but somewhere along the lines it morphed into maple brown sugar ice cream. I looked at this recipe for soy ice cream and this recipe for pecan nut maple syrup ice cream and then came up with the recipe below. Melt butter or Earth Balance in a small skillet over medium heat. 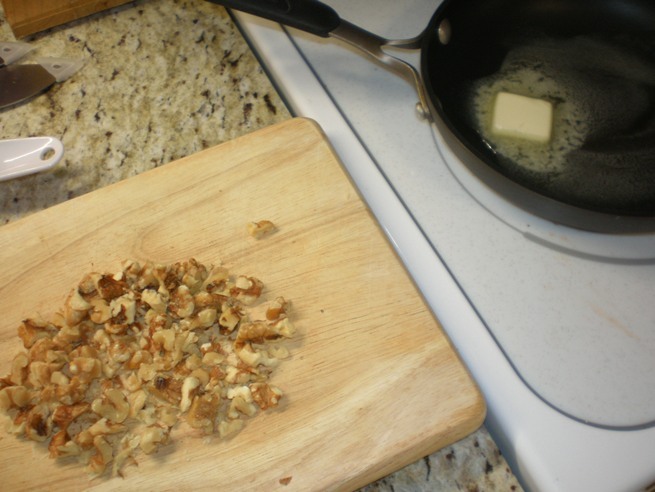 Then add chopped nuts and cook for several minutes. While the nuts are sizzlin’, mix together the soy milk, yogurt, maple syrup, vanilla and salt in a large bowl. 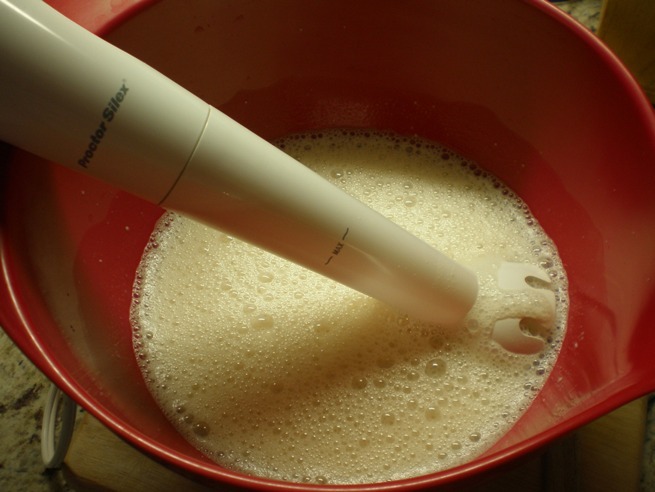 I had trouble getting the yogurt to mix with the milk so I whipped out my immersion blender to get the job done. While I was working, I was trying out some new shoes I ordered from Shoebuy.com. They are Merrell trail/water shoes and the best part is that they are completely vegan! They are pretty comfortable. What do you think? 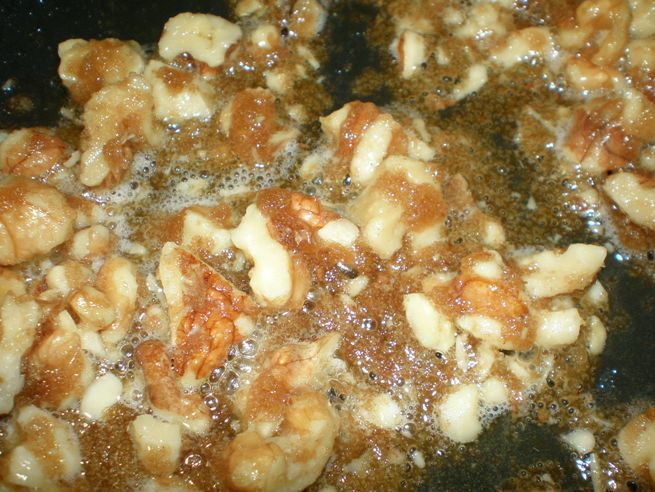 After the nuts have cooked for a few minutes, sprinkle them with brown sugar. Stir to combine. Reduce heat and let cook some more. 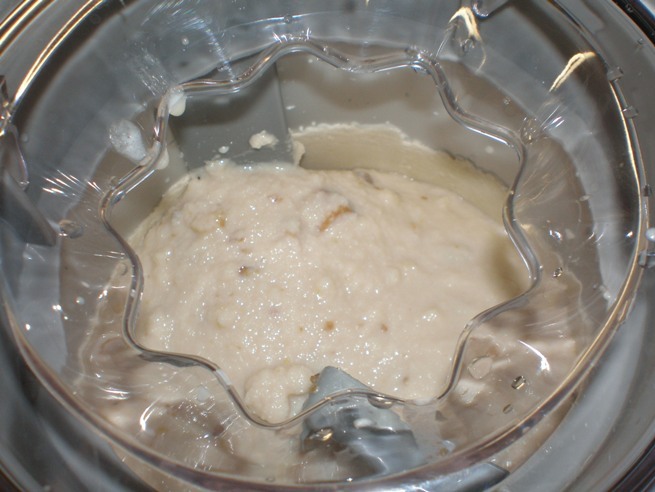 Once the sugar is combined into the butter and the nuts are looking pretty good, add them to the milk mixture. I really have no idea how long I cooked them. Cook them as long as you want, just don’t burn them! Now it’s time to get our your ice cream maker. I have the Cuisinart 2-Quart Automatic Frozen Yogurt, Sorbet, and Ice Cream Maker . I forgot to take a picture of the front of it, but it looks just like the one I linked to. 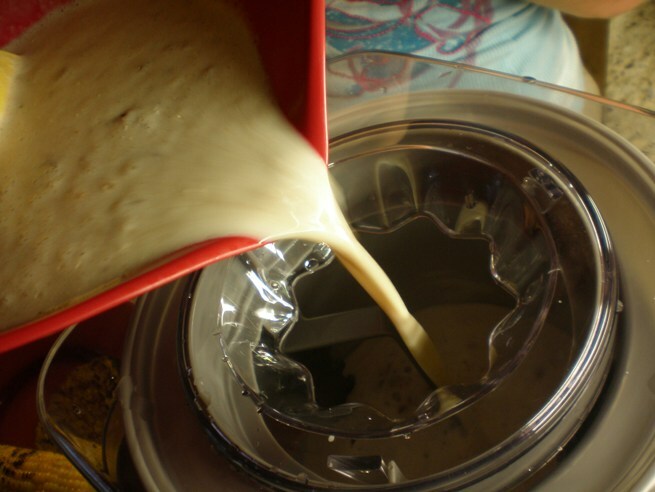 This ice cream maker is great because you don’t have to use ice and salt like the old churn ones. And its completely automatic. I keep the bowl in my chest freezer in the garage at all times, so that way it’s ready to make ice cream whenever I get a hankering (there’s that word again). Now you just freeze the mixture according to the ice cream maker instructions. I assemble mine and turn it on and then pour in the liquid. Let it run for about 20 minutes, then check on it. It should be getting thick. Let it continue to run until it’s the consistency you desire. Mine took about 30 minutes. I thought the flavor of this stuff turned out great. I really like the maple syrup flavor and the walnuts were excellent. I also like that it had very little refined sugar. However it wasn’t as creamy as I would’ve liked. Probably because there’s no actual cream in it! Next time I will try adding some soy creamer to the mix. I love ice cream and hope to give my ice cream maker a workout this summer. Since I’ve been trying to cut back on dairy, I’ve been sad to miss out on ice cream. I’ve tried several kinds of soy ice cream and they’ve all been great. But they are expensive! It’s much cheaper to make it at home. 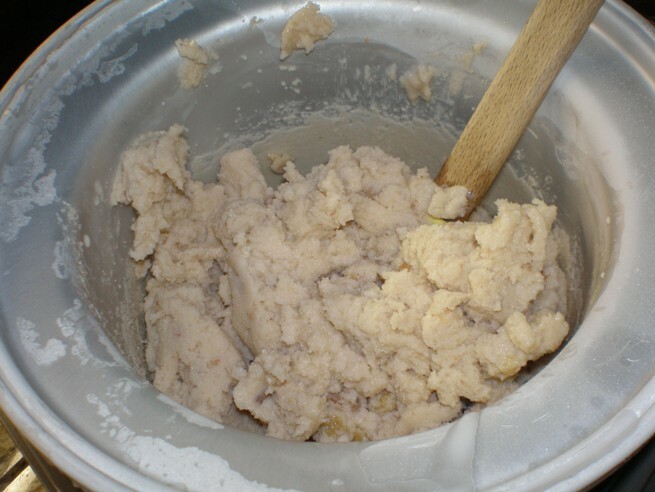 What is your favorite homemade ice cream recipe? Yum!! I have an ice cream maker bowl for my KitchenAid stand mixer that we got for our wedding and I’ve never used it. In fact, I’m not even sure how- the instructions got thrown away with all the wrappings I suppose.. I should Google that…. 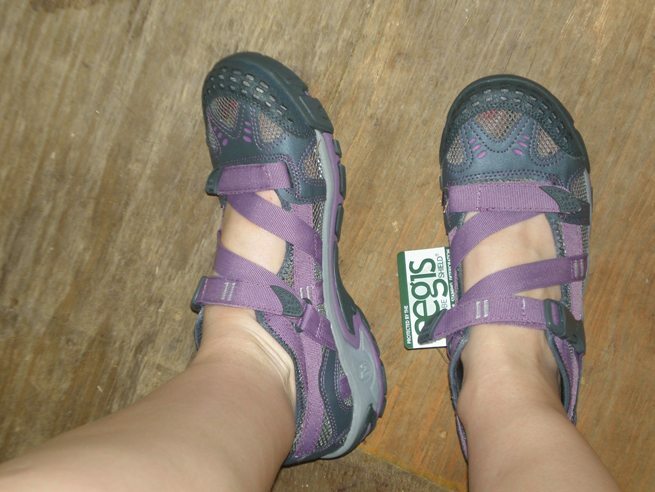 Oh, and I really like the shoes!